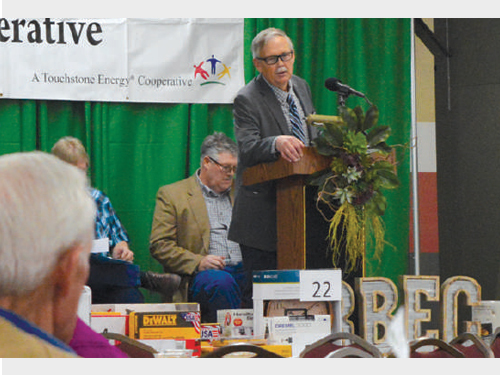 Rita Blanca Electric Cooperative hosted the 73rd annual membership meeting, Wednesday, March 20, at the Rita Blanca Coliseum in Dalhart. Members and guests enjoyed a catered meal of catfish, brisket, baked chicken, fried chicken with all the trimmings. The Dalhart High School softball team served drinks and cobbler dessert.